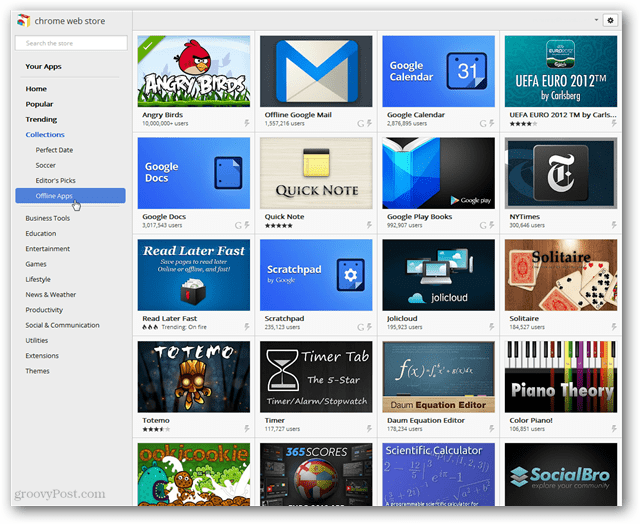 Along with launching the Chrome Web Store in six new countries, this week Google is also introducing an Offline Apps collection. Along with launching the Chrome Web Store in six new countries, this week Google is also introducing an Offline Apps collection. Offline apps are Chrome add-ons that, once installed, don’t require an Internet connection to run. Offline apps range from games, to office utilities like Gmail and Calendar. These are great for laptops and are useful at times when you aren’t sure you’ll be able to pick up a reliable Internet signal. You can check it out for yourself by clicking this link.